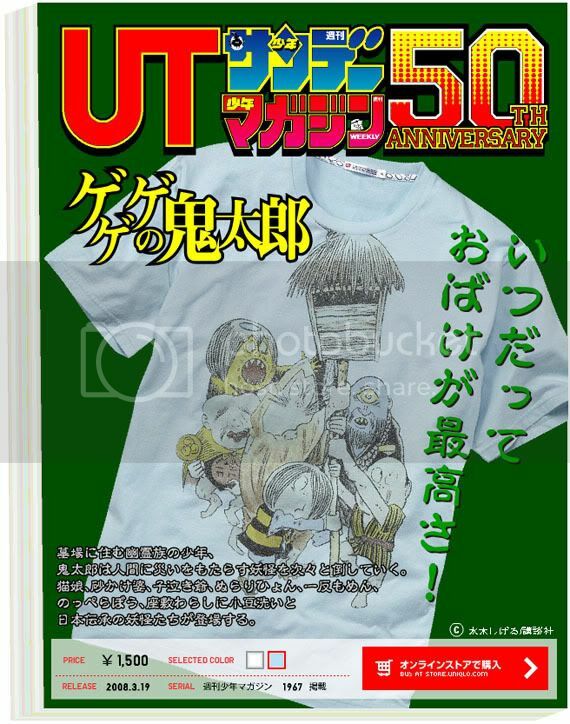 As part of Shonen Sunday Magazine's 50th anniversary celebration, Uniqlo will be releasing limited edition manga t-shirts! Uniqlo, a Japanese clothing retailer that's like the GAP but not lame-- or H&M but not totally chinsy, has released the firs 12 or so shirts so far, with the release dates of new designs meticulously scheduled through the rest of 2008, until March 2009. The shirts retails for 1500YEN each, and according to what I've heard are already selling out briskly. The Ge!Ge!Ge! no Kitaro! shirt! Both Chris (thanks for the above image!) 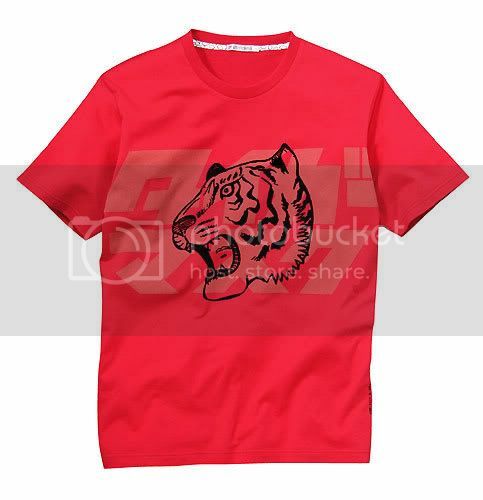 and Dylan at Rumic World have posted details and images of some of the first batch of shirts. I had actually heard about this last week on Umezu's site, but wasn't clear what I was reading about. Turns out the next limited edition shirt is a Makoto-chan shirt scheduled to come out on Wednesday! Man, I hope the GWASHI shirts make it to the NYC store eventually; wearing it would be much less painful than holding my hand in that position all day. They've currently got a couple Taiyo Matsumoto designs there - a few with art from Tekkonkinkreet which are unfortunately all in women's sizes, and another design I really like, but evidently only in S and XS with no love for my M-sized torso. I'm sure you'd make a lot of money if you set up a Uniqlo smuggling ring. I'd pay quite a bit for a Gwashi, Ashita no Joe, or Touch T-shirt. 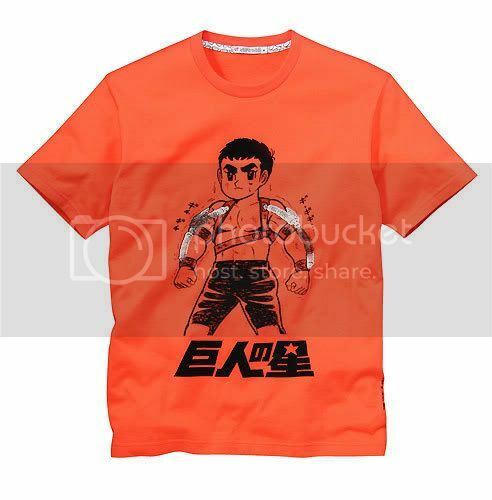 the t-shirt of ge ge ge no kitaro looks awesome! i hate it when they do this! it just gives me one more reason to harbor bitterness for living in a city w/o muji and uniqlo. the last cycle they did this they made a tezuka one, if i recall correctly. i want the tiger mask one. i'd pick up one for you when i'm in NYC, if they had them there. jerks. manga.. at my place.. manga mean mango.. haha.. i like manga very much.. naruto is my favourite! oh man I forgot to tell you, my bandmate Atsushi bought me a Taiyo Matsumoto/Black & White tshirt from Uniqlo a couple of weeks ago, and it rules! "NANA""EVANGELION""GHOST IN THE SHELL""STAND ALONE COMPLEX"
The NYC Uniqlo store just got the pink GWASHI shirt in, evidently, and some Ashita no Joe designs. Didn't see the Tiger Mask, though. I picked up a mess of those shirts when I was in Japan in March. And yes, they were selling like hotcakes. I went to one UNIQLO twice in two days, and they must have sold 80% of their stock in 24 hours, but introduced 5 or 6 new shirts the next day. The best score was the grey GWASHI shirt (which only comes in pink and grey). 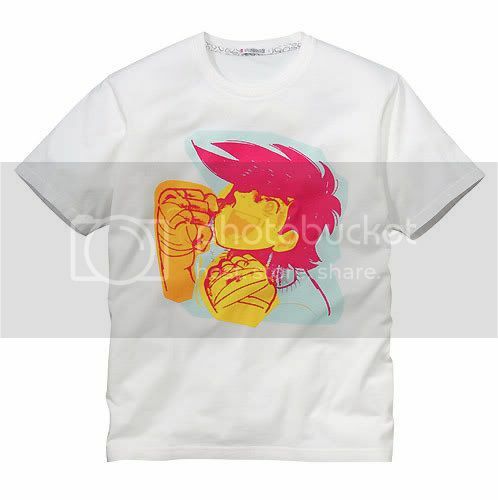 Hrm, I live in the UK so getting one of theese Tees is not going to be easy.